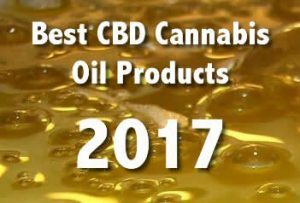 The top 4 best CBD Cannabis Oil Products for the year 2017. We’ll help clarify which CBD oil is best for you as they’re not all created equal. With the medical benefits of CBD oil extolled worldwide, people are capitalising on its potential. Not just its potential for helping the people of the world, but the potential to make huge amounts of money. Hemp-derived CBD is legal under the Federal Controlled Substances Act. Cannabis-derived CBD is illegal because of its THC content, not it CBD content. To produce CBD, you need to acquire plants high in CBD content. You can buy these from growers licenced to grow industrial hemp or medical cannabis. Licences are not available in all US states. Where licences are available, they can have restrictions, rules and regulations such as who they can sell their product to. Cannabidoil (CBD) is well known for positive treatment of pain and seizures. CBD is non-psychoactive when isolated from the plant. CBD naturally occurs in Cannabis Indica and hemp producing Cannabis Sativa. Manufacturers produce hemp oil from the cannabis Sativa species. This species produces almost no THC but does produce CBD. While there is much worldwide agreement that the cannabis plant has medicinal properties. But, producing the oil and its products is not equal. There is no regulation in the industry. Be careful of who you buy your CBD products from. They can use chemicals to extract the oil or the ingredients may be different to what is on the label. This can be harmful. The FDA regulates hemp as a dietary supplement. It does not have the authority to review hemp oil products for safety or whether the ingredients listed are in the product. This is in complete contrast to the medical and recreational cannabis industry. This side of the industry has strict controls and guidelines for managing production and for testing products before going to the market. This is not true of the hemp industry. The FDA has sent warning letters to companies selling CBD hemp products that claim to cure, prevent, treat and diagnose after testing products after finding these are false claims. Beware when buying unregulated hemp CBD, the FDA found ingredients listed on the label may not be what the product contains. For two decades, states like California, Oregon and Washington have given cannabis growers opportunities to develop a consistent supply of high quality medicines for patients. These opportunities are now growing into a recreational market. These producers are well known for their high-quality product. Everything they produce goes through rigorous testing regimes. This ensures patients have access to products with much higher CBD levels than hemp CBD. Because of their rigid testing, these products are often much purer form and more effective than hemp CBD products. Get your CBD oil through a regulated cannabis industry, talk to the salesperson about the products. Ask about where the product comes from, its ingredients and the test results. CBD oils cone in many forms. What is right for you depends on the dose you need and how often you need to take it. Best CBD cannabis oil tinctures are made using alcohol or glycerine based cannabis extracts. These are less concentrated oils and come packaged in bottles with a dropper to drop the tincture directly under your tongue. You can mix it in food or drink. You can take this discreetly and it is a good way to get the CBD dose you need throughout the day while out in public or at work. CBD sprays use concentrated tinctures ready to spray under your tongue. They are a discreet way to administer your medication wherever you are. These come in a variety of THC and CBD levels from 1:1 THC to CBD to 1:18. It depends on your needs and the symptoms you are treating. To make use of CBD’s anti-inflammatory or pain relieving properties use it as a cream topically on the affected area. These can help people with chronic conditions such as arthritis and for relieving muscular aches and pains. CBD topical are not psychoactive, regardless of the level of THC they may contain. Vaporise high quality cannabis oil through a vaporiser pen. This gives fast results from the medication without the negative effects of smoking. Try using a disposable vaporiser in the first place if you want to try it for the first time. No matter what reason you have for taking CBD oil, make sure you buy the best quality oils on the market for positive health effects. Our most popular strain to make your own CBD oil is Super Silver Haze. You’ll create a much better product than buying Rick’s. We hope you ejoyed this article, please leave your comments below.